Anthea Hamilton’s 10m-high Gaetano Pesce-inspired sculpture of parted buttocks is catching eyes this week, as pictures of it installed at Tate for the Turner Prize exhibition proliferate. 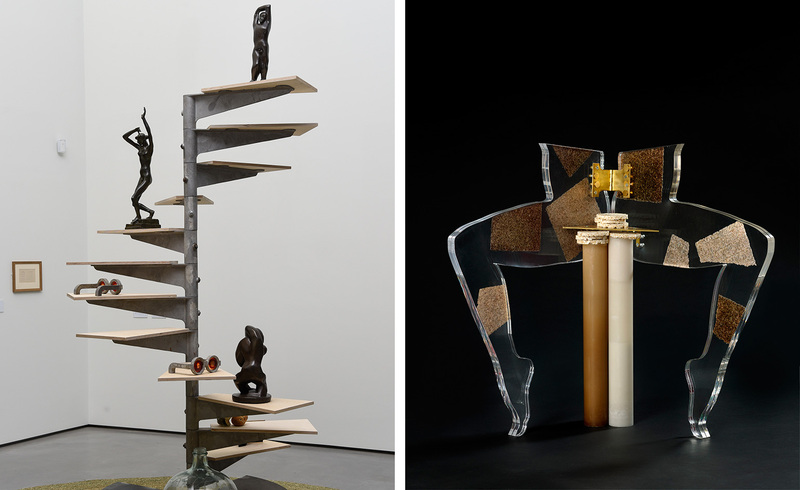 Less reported is the relatively serene exhibition the artist just curated at Hepworth Wakefield, titled ’Anthea Hamilton Reimagines Kettle’s Yard’. Here, Hamilton mixes 20th century art and decorative objects from Kettle’s Yard with a series of new works she’s created in response to the admired Cambridge collection. Pieces from Robert Mapplethorpe, Laëtitia Badaut Haussmann, Nicholas Byrne, Ella Kruglyanskaya and Daniel Sinsel are also woven into the exhibition, resulting in a varied object conversation with the original Kettle’s Yard pieces. With her punchy palette and headline-grabbing sculpture, Hamilton is not an obvious match for the understated shades and organic textures of Kettle’s Yard, and as such her re-interpretation is fresh and unexpected. In places her new works resonate harmoniously with companion Kettle’s Yard objects, like her Christopher Wood Kimono and giant fragrant circular grass mats on the floor and walls. In others, Hamilton interjects counterpoints such as Haussmann’s mosaic-tiled day bed and her own cartoonish Vulcano Table that appears to overflow with bulbous red glass globules. Although perhaps that table steals the show just a dash too much, her curation does a nuanced job of inflecting a careworn collection with new dynamism.